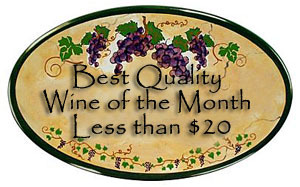 Synopsis, Our Opinion: EXCELLENT Sauvignon Blanc that’s an exceptional value. Producer/Winery: Emmanuel and Thierry Delaille; Domaine du Salvard; Fougères sur Bièvre, France. 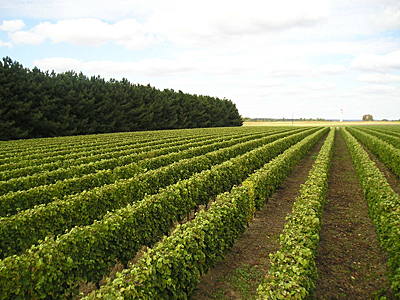 Geographic Appellation: Loire Valley, France. Paired With: Ham and broccoli quiche and a garden salad. Chilled before drinking. Clear, light wheat straw color. Lively citrus and fresh cut grass aromas. Crisp lemon, grapefruit and green apple flavors with hints of tropical fruit. Refreshing tart finish that’s long and extends to an after-taste. 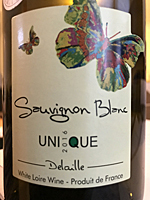 There was no hiding the flavors in this wine…it was FULL of easily discernible citrus and green apple, but there was an underlying stony mineral in the taste from start to finish. Although we should describe this as having rather delicate flavors it was a fairly robust white wine with refreshing high acidity. A wonderful alternative to New Zealand (or other New World) Sauvignon Blanc and a wine that will not loose its allure after drinking it over and over. EXCELLENT Sauvignon Blanc that’s an exceptional value. 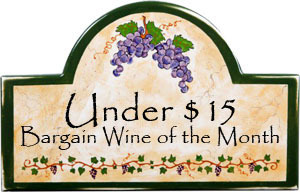 We put it into the TastedOnline.com category of a Quality wine at a Bargain price!!! Comments: Learn more about Domaine du Salvard and their wines.